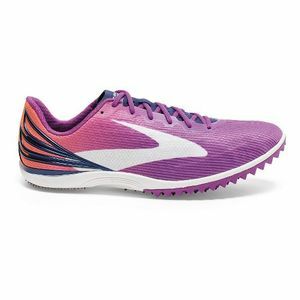 A compression moulded EVA midsole provides just the right amount of cushioning. Assymetrical lacing means the upper wraps your foot comfortably and securely. A supple stitch free upper lets you run without socks. At only 125g the women's Mach 17 lets you fly over the country with the security of a really grippy, stable base.